Why Is Gian Franco Adelaide’s Leading Remedial Massage Therapist? To answer that question, you firstly need to understand why and how Gian Franco got started as a massage therapist in Adelaide. As a qualified personal trainer in the late 1990’s, Gian Franco wanted to do more to help people like himself. People who had old, nagging injuries, aches and pains that were adversely affecting their day to day life. He found massage to be of great help so went on to complete his Diploma of Remedial Massage from the South Australian College of Natural Therapies. Gian Franco was fortunate to be mentored and trained by one of Australia’s leading Remedial Massage Therapists, John Stamoulos. 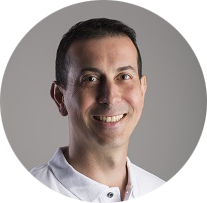 Today, Gian Franco is at the forefront of remedial and therapeutic massage in Australia and is driven by his passion to help people live a well-balanced and healthy life, free from aches and pains. So How Do I Know That Gian Franco Can Help Me? To select the best massage therapist for you, it’s important that you put your trust in someone who has a very broad range of experience and who’s expertise is respected and sought by leading authorities and entities in related industries. Gian Franco has developed a large network of medical practitioners through-out South Australia. This network has been further enhanced through his employment at Sportsmed SA as a Remedial Massage Therapist. Working at the highest level with clients that include SASI, AIS and elite Olympic athletes, Gian Franco is confident that he can use his knowledge and experience to help you with your aches and pains, as well as your general health and wellbeing. Take the first step to improve your overall health and wellbeing and call Gian Franco today on 0418 893 132 for a tailored consultation either at his North Plympton practice or if need be, he will visit you.